There is nothing on a cold winter days than the sight of garden bulbs blooming indoors. Not only are they lovely to look at but the fragrance is outstanding. So, here are a few tips to help you make this adventure a success. 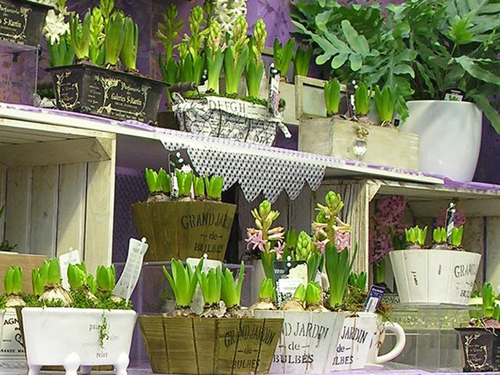 When looking for bulbs to purchase make sure you get the correct one for indoor growing. They are called forced bulbs not standard. Forced bulbs have been through a process to ensure they will flower in mid winter. 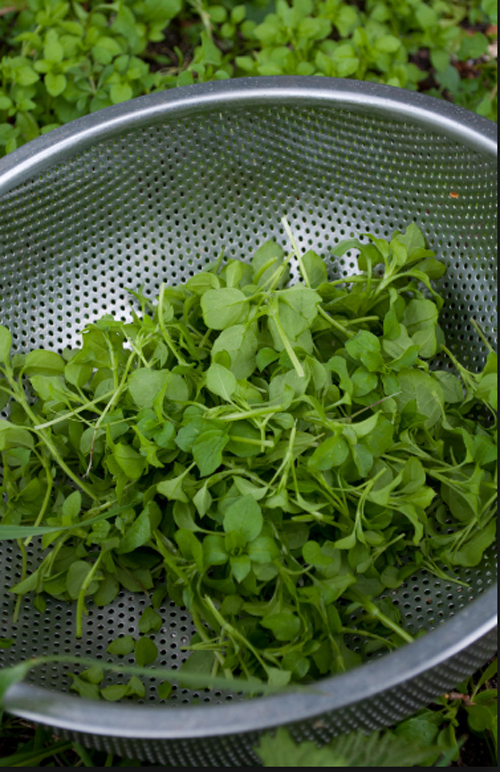 Know in advance that they won't plant in a week once they are planted so plan ahead. 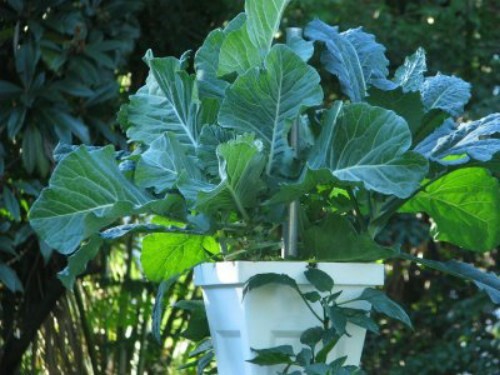 Select a garden container for your bulbs. 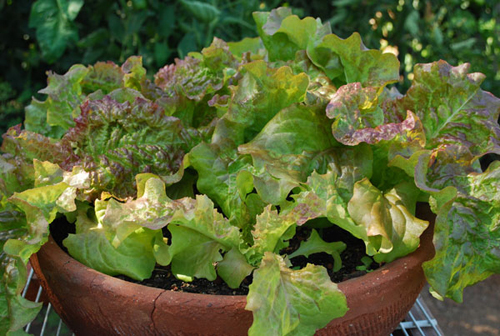 We recommend a shallow bulb pan, azalea pot or even a garden saucer if it's deep enough. The bulbs roots are not that big so they don't need a deep planter for success. 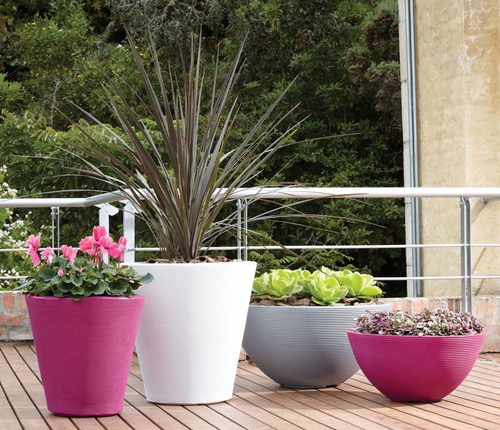 Keep in mind that wide planters are also best. You can group them together and create a wonderful display. 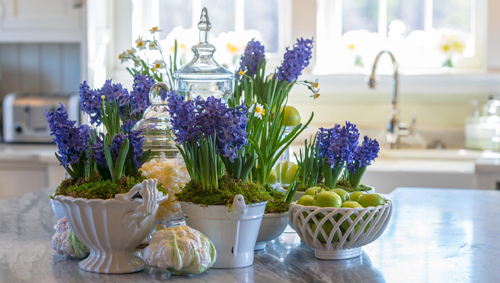 Remember that even thought a mix color arrangement is lovely the bulbs may bloom at different times so it's best to stick with one color for forcing. Get a good potting mix. 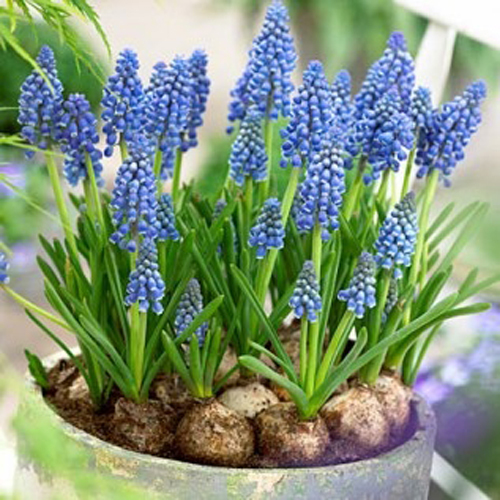 Fill the planter and set the bulbs on the soil in the arrangement you desire. Fill around them but not over them. Keep them watered at all times. 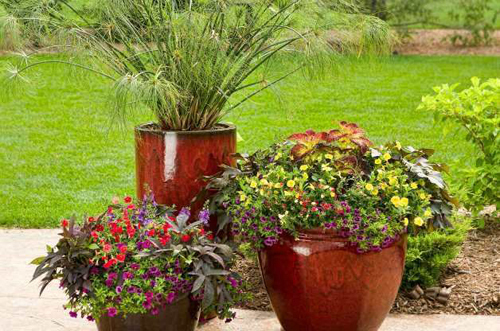 Place the flower pots in a dark cool place. A garage, shed, under a staircase, a basement. Or place a cardboard box over them so they stay dark. 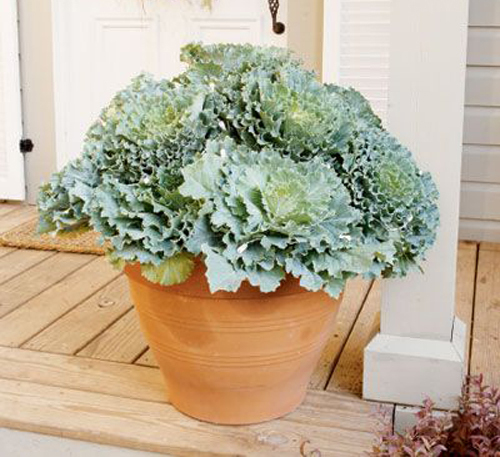 Check once a week and make sure they are watered. After a few weeks you should see green shoots. Over the next few weeks these will grow longer. When it reaches 2" high its time to bring them indoors. 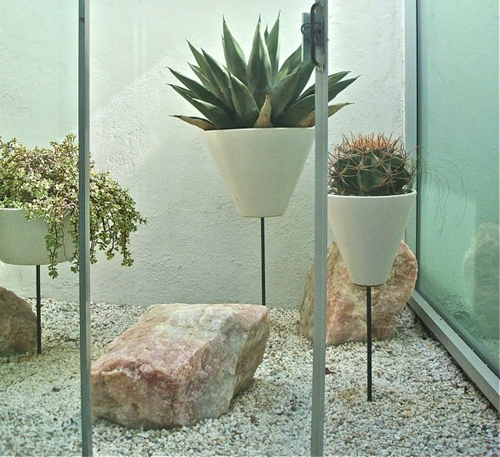 Being exposed to warmth and sunlight will make them grow wonderfully. Display in a sunny window and the smell will surround you in wonder. 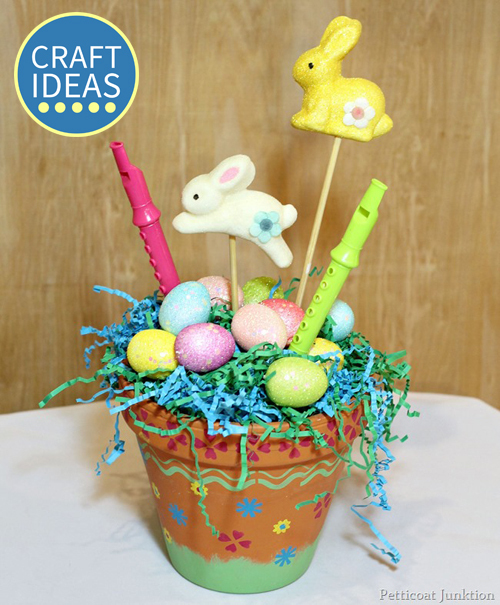 Easy Easter Craft Project using a clay flower pot! 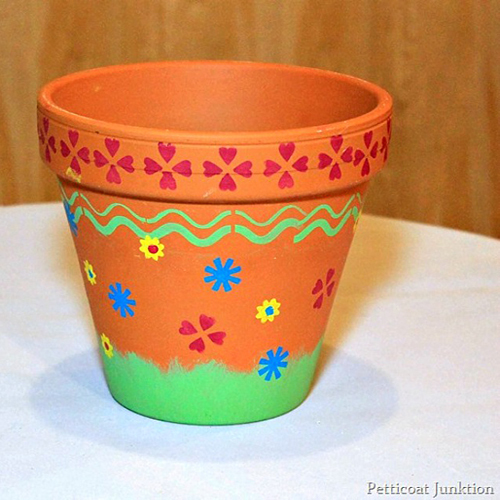 Start with a nice smooth Italian clay flower pot. Make sure it is clean. If there are any finger prints or marks on it, just wash with warm water and soap and rinse good. Dry completely. Take Folk Art acrylic Paint and stencils purchased at Michael's craft stores. Lay the stencil on the pot where you want it placed. Squirt some paint on a paper plate. Dip the stencil brush end into the paint and make little circles on the stencil to transfer the paint. Don't get the brush to full. If you do dab some of it off. It doesn't take much to paint on the design. If you keep the brush fairly dry you won't get the leaks under the stencil. 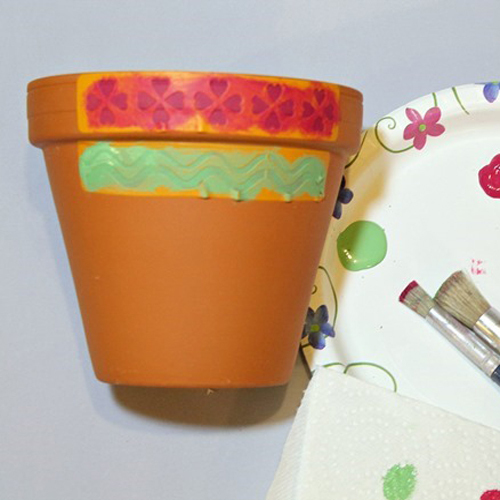 The Folk Art stencils have a sticky back to help it stick to the pot surface. They are easy to clean up also. Once the pot is finished, fill with floral foam. Top with shredded paper and then stick the items you purchased around the pot into the foam until you get the desired look. 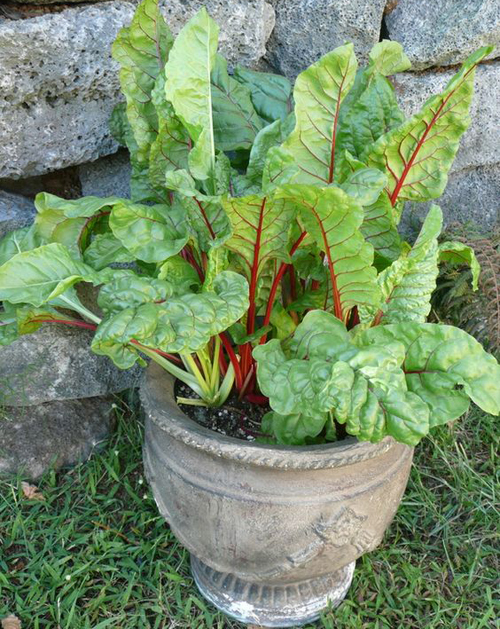 At the end of the Easter Season, you can take it all out and have a great flowerpot to plant in. 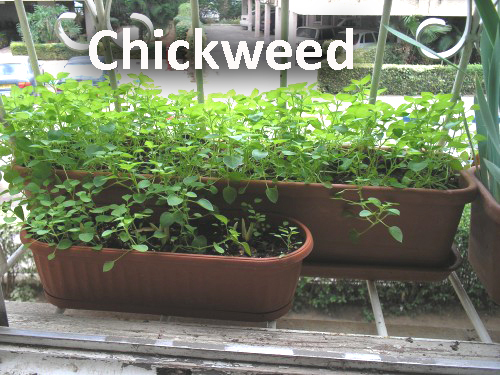 [Read More] Grow Potted Grass For Easter Eggs. 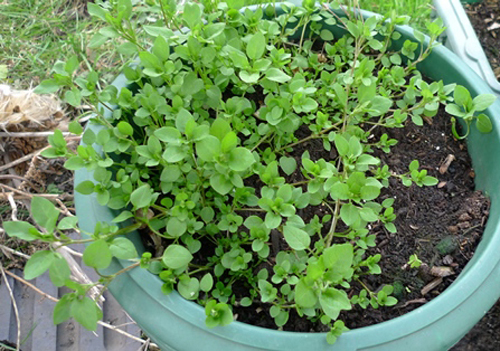 [Read More] Plants that repel mosquitoes.